As a round up of Christmas (I normally stop at about the 6th January, some do carry on until Candlemas or through the year) I thought I would include the little details of each of the Christmas Cards I created with materials and tools used to make them. This maybe a long post, I'm hoping it's a short one! 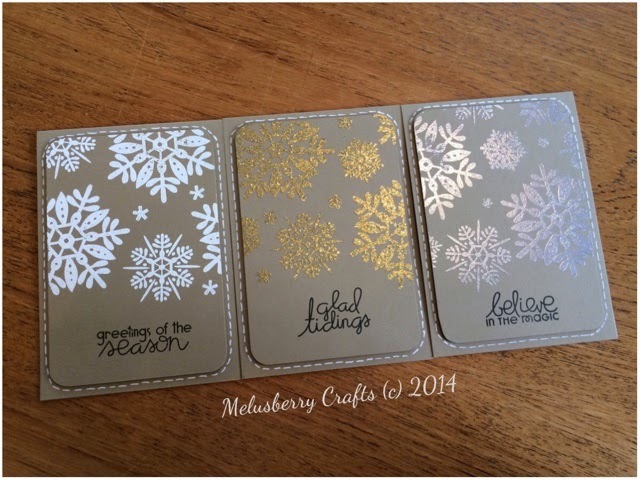 These lovely cards were used with heat embossing powders on kraft cardstock - just a simple set of cards featuring this great snowflake stamp set from Avery Elle. I had fun playing around with the different designs and layouts until I found the perfect one. Trial and Error is always great fun and it's amazing that some designs aren't always the same! 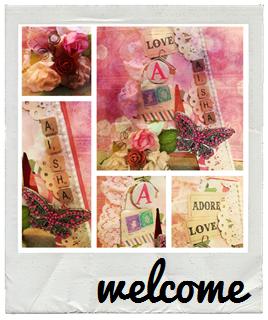 Kraft Cardstock - Cut into an A5 size card, top folding. 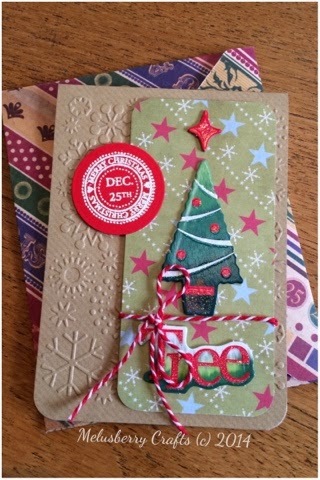 This is a pretty easy one I think, it's just a case of putting contrasting colours with the papers and stamping the greeting with the Die-namics. Simple but effective and the paper pad has some great bright, uplifting colours. 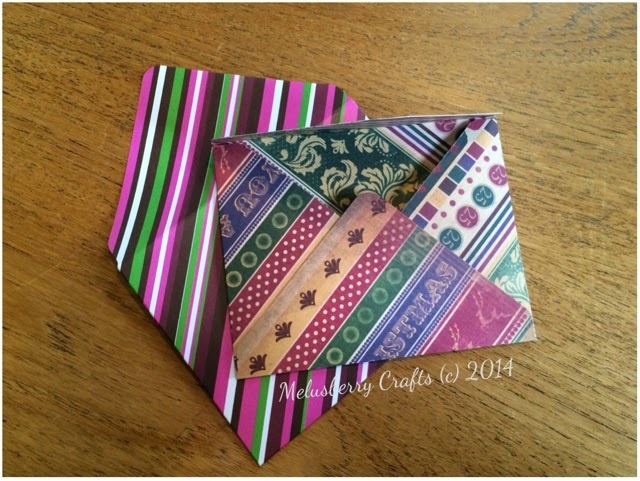 These two envelopes were made using the We R Memory Keepers Envelope Punch Board with two different 12 x 12 Paper Sets. One was from Papermania many, many years back, the other was Dovecrafts or Papermania's Basic Christmas 12 x 12 Pads. I hope that you've enjoyed this Post Christmas post. 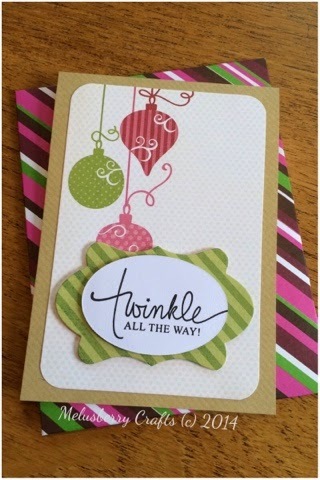 We're a little more than a week into January 2015, so here's to more crafting projects, DIYs and card marking throughout the year!